United Baking Co., the local company known for muffins inspired by television personality Wally Amos, Tuesday unveiled the new name of its cookie division and promised to increase jobs there. The employees would likely have been out of work if Shirley-based United Baking hadn’t purchased the assets of Silver Lake Cookie Co. in June for an undisclosed amount, according to the new owners and state and Islip Town officials. They said about 125 positions had been saved. The cookie division turns out holiday, European, Italian and sugar-free cookies, petits fours, and cookies inspired by movie and cartoon characters, such as SpongeBob SquarePants and Hello Kitty. 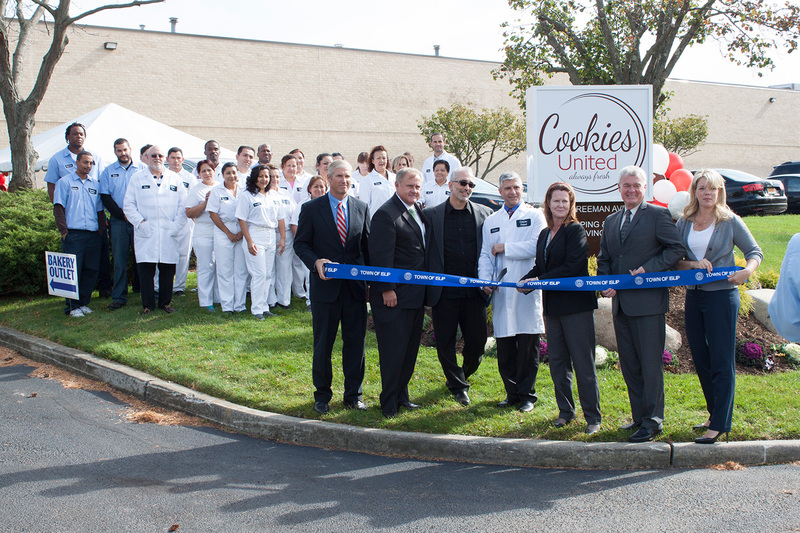 These and other types of cookies will continue to be made at the 140,000-square-foot factory on Freeman Avenue but will be sold under either the Cookies United or Uncle Wally’s brand names, said Lou Avignone, chief executive of United Baking. He said the owners of Silver Lake, Joseph and Rocco Vitarelli, had been making cookies for United Baking for about a year before the buyout. Silver Lake, founded in 1965, took its name from the location of its first bakery, behind Baldwin’s Silver Lake Park. “This expands our portfolio; about 95 percent of our sales are muffins,” Avignone said in an interview. Michael Petrucelli, United Baking’s chief financial officer, said the company hopes to increase cookie sales outside the October-December period, Silver Lake’s busy season. He said United Baking wants to boost the factory’s permanent staff to 150 people, a gain of 25. 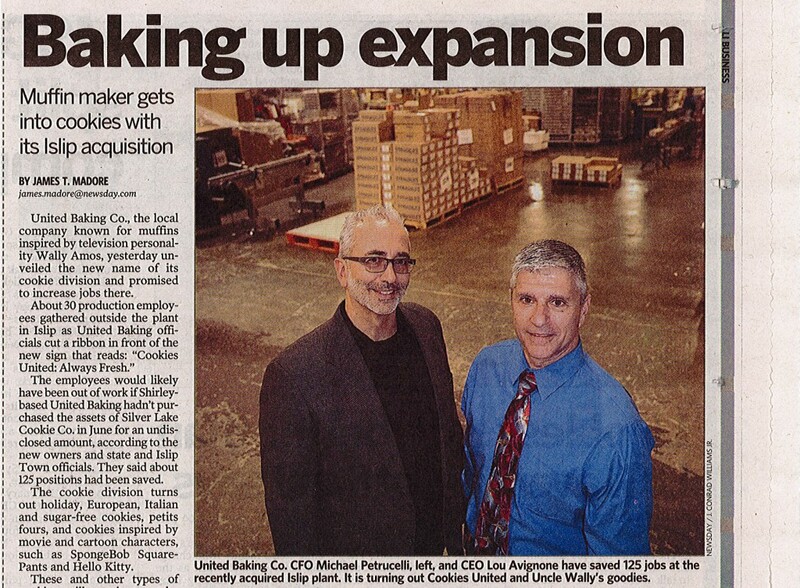 To support the hiring and $30 million in investment over three years, New York State awarded a $350,000 grant and additional low-cost electricity to United Baking. Islip Town provided $1.5 million in tax breaks over 14 years.